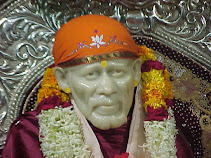 This video clips shows the various activities held daily in Shirdi. The activities begins in Samadhi Mandir (temple) from morning 5 o' clock. At 5:15 starts the Kakad Arati which begins with beautiful song called Utha Utha. I remember how we and other devotees line up since morning 4 O' clock for the same. Well have seen a number of times ardent devotees wait for the whole night, they stand in the queue or some sleep in the queue from night 11 o'clock to be able to attend the morning Arati which starts at 5:15 a.m.
With this beautiful song Sai Baba is waked up and the mosquito net which was placed in the night when he rests(?) is removed. After half hour that is 6 O' clock Sai Baba's and the Samadhi is given the bath after which rose water (Gulab Jal) bath is given, which is collected from the devotees, and milk. At 7:30 Shirdi Sai Sansthan does the Abhishek. Sai Baba would not let anybody worship him, but seeing the devotion and love of Mhalsapati he allowed him to worship him. As Sai Baba used to say that he is the slave of his devotees who loves him and slowly gave way to the his devotees heart's wish. Also mentioned is how the Chandan Tilak puja started. 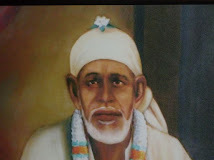 Sai Baba would not allow anybody to apply Chandan on his head, in the video clip by Shirdi Sai Sansthan it is stated that the kid of prominent devotee of Sai Baba, Nana Chandorkar applied Chandan Tilak to Sai Baba's forehead and since the Chandan tilak puja is continued. 9 O' clock the devotees perform the Abhishek. Noon 12 O' Clock Sai Baba's Madhyan Arati gets over. Evening according to the time of sunset Dhoop Arati is performed. At ten O' clock Shej Arati is performed claiming the time of rest for the Sadguru Sainath. The mosquito net is placed that Sai Baba takes the rest to waked up by the the beautiful song Utha Utha next morning at 5:15. Click to Sai Baba Aratis videos performed in Shirdi.